Rich fields and monitors the progress of the teams and players and supervises the coaches to maintain a consistent standard of teaching skills and coaching techniques. He will mentor new coaches to help them develop a coaching philosophy that includes their development as coaches, coach/athlete satisfaction, and achievement of superior athletic results. Rich is responsible for continuing education and accreditation of all coaching staff. 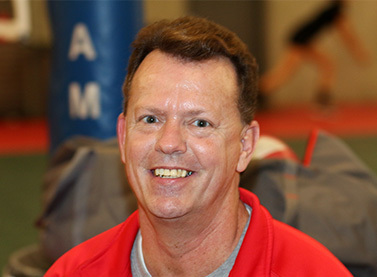 Rich has coached volleyball as the varsity coach for Windsor High School for fifteen years and club volleyball for sixteen years. He is a volleyball dad with two daughters who played club volleyball from their 12’s to 18’s. Rich has played club volleyball and on adult leagues, and recently traveled to Dallas and Louisville to play in the men’s Open Nationals.